Explore the sights of Paris and royal Versailles before travelling by train to Montpellier – France’s fastest-growing city, which is located in the Languedoc-Roussillon region. Accelerate your French language skills while in Montpellier with a three-hour lesson per day. Board your flight Begin your journey to France, a country full of culture, rich with history and filled with world famous landmarks. Arrival Enjoy a 3 hour panoramic city tour en route to Paris, before a one hour cruise down the Seine River. Versailles Journey to Versailles and visit the Royal Chateau and gardens. Explore the Hall of Mirrors, the King’s Apartments and the Museum of the History of France before returning to Paris. 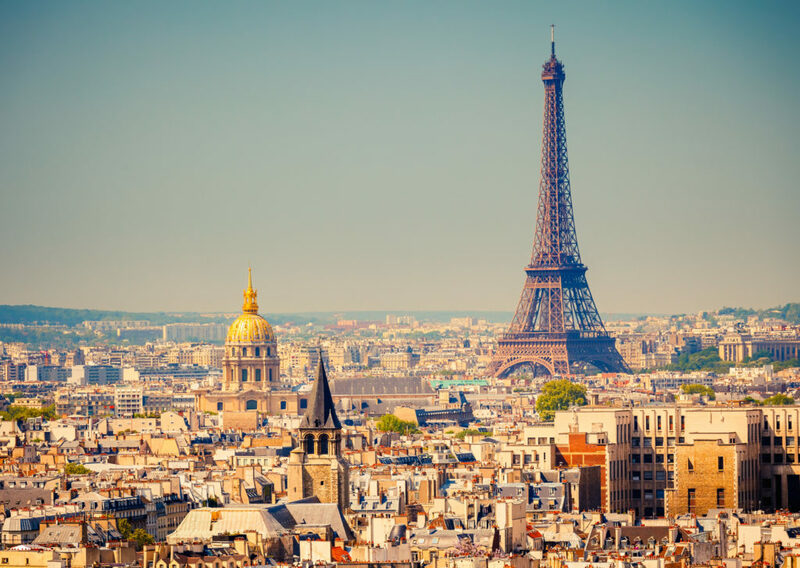 Sight see in Paris Visit the magnificent Eiffel Tower before heading to the world famous Louvre Museum – home to the artworks of Michelangelo and Da Vinci. On the move Board the fast train to Montpellier. Montpellier Upon arrival you a free to explore the city and it’s elegant boulevards. First Lesson Join your classmates for your first morning of language lessons. Second Lesson Join your classmates for your second morning of language lessons. Nimes Enjoy an excursion to Nimes. Rich with history, Nimes links back to the Roman empire. Third Lesson Join your classmates for your third morning of language lessons. An afternoon of French Culture Gain further insight into French culture with an afternoon of French movies that will further enhance your language comprehension. Fourth Lesson Join your classmates for your fourth language lesson. Sete Excursion After your lesson enjoy an excursion to Sete, the largest fishing port on the French Mediterranean coast. Here you can experience Sete’s very strong cultural identity, traditions, cuisine and dialect. Final Lesson Join your classmates for your final language lesson. Afterwards enjoy a free afternoon of sightseeing and activities. On the move Arrive back in Paris and enjoy an afternoon of organised sightseeing, Visit some of the city’s many museums or galleries, stroll along the Champs Elysees or take in the splendour of the Notre Dame. Final Farewell Say au revoir to Paris as you board your flight back to Australia. Thank you for your interest in our WorldStrides Vive La France Tour! Please tell us a little more about yourself so we can get you sent to the right place.